If the prognosis looks grim, it might be time to search for a new job. Question: What’s worse than getting sick? Answer: Getting sick and getting stuck with a huge bill. Health insurance is supposed to prevent both of those things—the getting sick and the huge bill. But that’s not the case with all plans and providers, which vary wildly. That’s why an employer’s health insurance benefits can add a lot to the appeal of a job. About 151 million Americans rely on employer-sponsored coverage. 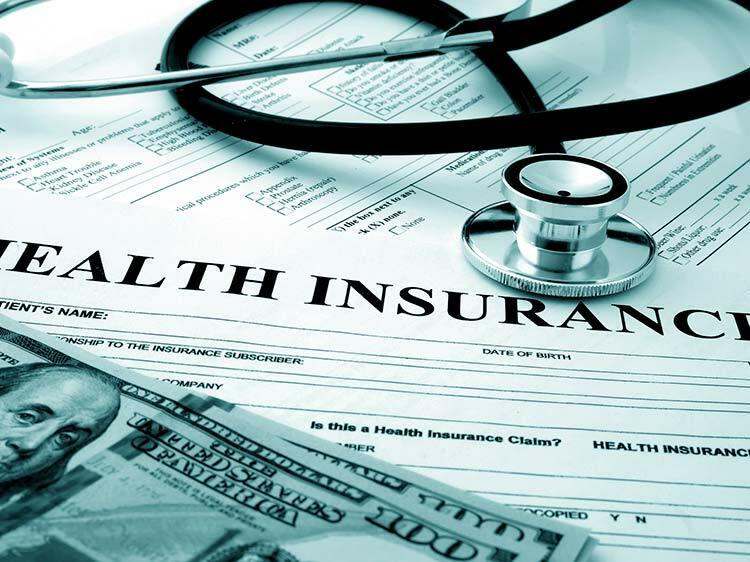 According to a 2016 Monster U.S. poll, over 86% of 10,624 respondents say that affordable health insurance is important when deciding whether or not to take a new job, compared to only 8% who don’t think it’s important and 5% who don’t feel strongly either way. But don’t wait until you’re looking for a new job to evaluate a company’s health benefits—review your employer’s health insurance benefits every year, especially since the costs are on the rise. Remember, those costs affect your compensation considerably, and you want to make sure your employer’s contributions are generous. With open enrollment season upon us, now is the ideal time to reevaluate just how beneficial your heath benefits really are. Read on to find out if your company’s plan offerings would pass a fitness test. What’s it really going to cost you? Does talk of premiums, deductibles, copays and coinsurance just leave you feeling confused and overwhelmed? Once you know those numbers, it’s time to compare the plans that your employer offers to some reliable benchmarks, says Kim Lankford, personal finance expert with Kiplinger's Personal Finance magazine. "You can look at average figures and see how your plan stacks up." Kaiser Family Foundation provides one of the most comprehensive reports on employer-sponsored coverage. For example, Kaiser's 2017 report found that the average annual premiums for employer-sponsored health insurance are $6,690 for single coverage and $18,764 for family coverage—an increase of 4% and 3%, respectively. If you’re contributing a lot more than what’s considered average for employees, a new job with a more generous employer should be in your future. What’s covered by your insurance? Low premiums aren't everything. "A lot of people make the mistake of just looking at premiums when comparing their health plan options," Lankford says. "You really need to look at the types of coverage you use and how much it's going to cost by the end of the year." For example, she notes, if you expect to have a lot of health care costs during the year (planning on having a baby, scheduling a surgery you can no longer put off, etc. ), you may want to opt for a plan with a lower deductible even if the premiums you have to pay yourself are higher. On the flip side, if you expect to have few health care costs throughout the year, you can save money by going with a low-premium plan with a higher deductible. Bonus: That high-deductible plan (HDHP) might also come with a health savings account (HSA) that your employer might contribute some money to on your behalf. If you regularly take a prescription medication, pay close attention to this coverage, down to the exact formulation of the drug that you take. "Finding out exactly what your copays would be for your specific medications could make a big difference in your out-of-pocket costs for the year, even if the plans have very similar premiums," Lankford says. Of course, there are plenty of medical events you can’t budget for, but that you want to be sure your plan will cover, such as emergency room visits, hospitalization, mental health treatments and rehabilitation. Costs, quantity, and scope of these benefits vary by plan, so be mindful when determining what level of coverage you’re comfortable with. Which doctors are in your network? The most comprehensive coverage in the world is useless if you can’t find a health care professional who accepts your plan. Most plans offer online tools, available either on your employer's site or the insurer's site, to let you search for a hospital or physician to see if they're in network. Or you can call a doctor's office directly to see if they take the insurance plans you’re evaluating. If you want lots of options and flexibility, a PPO (preferred provider organization) will likely be a better fit than an HMO (health maintenance organization). "A preferred provider plan might also have a defined network, but it may at least allow you to go outside of that network if you wanted,” says Janet Trautwein, CEO of the National Association of Health Underwriters in Washington, D.C.
On the other hand, if you have a core group of doctors that you’ve been seeing for a while, and who know your health history, you likely want to stay with them. Be sure to see if those doctors are covered under your employer’s plans before choosing one. If your preferred doctors aren’t part of any insurance plan offered by your employer, prepare to pay extra for each visit. Note that these costs can substantially cut into your pay, depending on how many visits you amass during the year. Thinking ahead, it could definitely be worth it (literally and figuratively) to find a new employer that offers insurance plans that include your preferred doctors.